To kick off the year-end giving trend, the Belfer Center for Innovation & Social Impact in New York City created Giving Tuesday back in 2012. Falling after the big holiday shopping days of Black Friday and Cyber Monday, Giving Tuesday is celebrated on the Tuesday after Thanksgiving—November 27 this year. Giving Tuesday encourages people around the world to give back. Over the past six years, Giving Tuesday has grown into a widely successful global movement, where everyone is invited to participate—individuals, nonprofits and charities alike. The Giving Tuesday site provides several steps on how you or your organization can get started today, from using #GivingTuesday on your social media accounts to connecting with other organizations. Social media campaigns, in particular, have been a popular way to spread the word about Giving Tuesday. Using the hashtags #GivingTuesday and #UNselfie, individuals and organizations can share how they’re giving back this holiday season. And that often inspires others to also give. In 2017, more than 150 countries participated in Giving Tuesday. A total of 2.5 million gifts were made, rising more than $300 million. With the holiday season upon us, many nonprofits and charitable organizations have already invested lots of time planning holiday giving campaigns and gearing up for this year’s Giving Tuesday. There are more than 100 community campaigns being organized across the U.S.—and even more happening around the world. How is your organization preparing for the holiday giving season? The good news is that it’s not too late to participate in the Giving Tuesday movement. And the even better news is that LaterPay can help boost your donations this Giving Tuesday. LaterPay has specifically designed “Donate” buttons for non-profit and charitable organizations. It’s a single-click payment commitment that can be made from a mobile device, laptop, or home computer. You simply set the donation amount as little as $0.05, $0.50, $1.00, or higher. The amount is completely up to you. Now, while the average gift on Giving Tuesday in 2017 was $120.40, most people contribute smaller amounts, especially younger generations. In fact, millennials are a very giving generation, with 84% giving to charity. They are more likely to give smaller donations than Baby Boomers. Typically it takes a donor 5 years of giving to make a major donation, so these small gifts hold a much higher value over the lifetime of a donor. 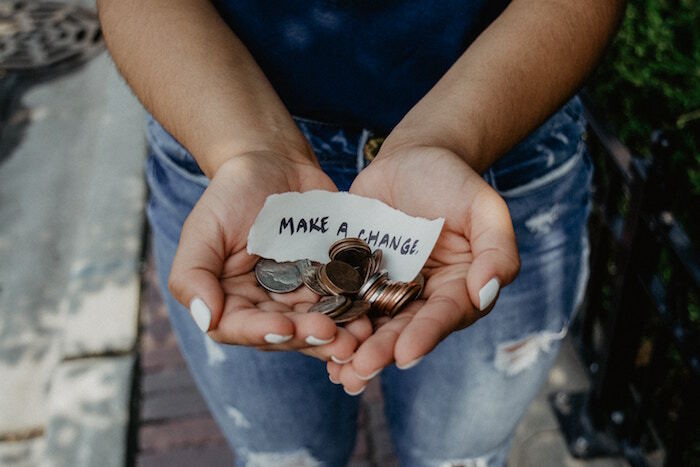 LaterPay makes it easier for nonprofits to acquire donors with lower donation amounts and just a single click of a button. Retention is also more likely with LaterPay with our users proving 2-2.5x more likely to transact again on our pay-later model rather than when asked to register and pay right away. This is important as it’s much more expensive to acquire new donors than retain them, not to mention converting to major donations. Deb Jarrett, founder of Dharamsala Animal Rescue says: "We’ve started using LaterPay two months ago and donations are 5x higher than traditional donation methods." Here’s how it works: your donor simply agrees to make a donation for a set amount, and then they pay later. No upfront registration. No immediate inquiry for a credit card number or personal information. The LaterPay model defers the registration process until a customer’s tab reaches $5. Only then do we ask users to settle their tab. And it works: 85% of those who commit to paying later, ultimately do! There are no payment processing, payout or any other fees to the nonprofit. We simply get paid when you get paid, on a rev-share basis. No risk! LaterPay also can be easily integrated into your unique website experience, keeping your potential donors engaged. In three simple steps—equating to less than a minute of your time—you can generate a piece of code for your donation button and a link. This code can then be imbedded into any CMS, and the link can be used on your website, emails newsletters, as well as on social media. So, if you want to join the Giving Tuesday movement and start collecting donations on your site, LaterPay can help you get started. Find out how to get your donation button now.